We're living in an age when many of the comic creators who helped define the industry are dying. Coupled with the global village we now live in, word of their deaths spreads almost instaneously and the news sites and blogs are filled with remembrances and honorariums and such. And I always feel uncomfortable and awkward and ashamed. 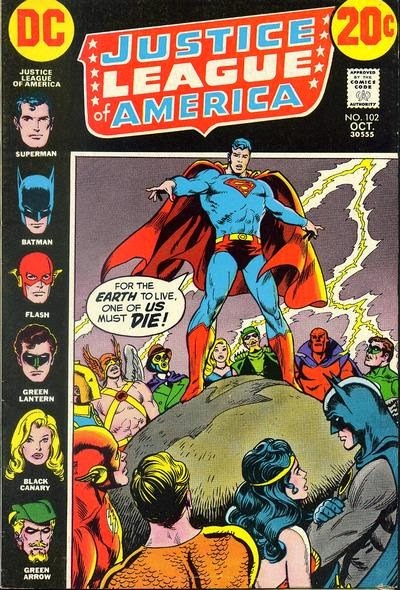 The death of Nick Cardy is, sadly, just the latest news of a creator whose never-ending battle ultimately did end. Like so many other great creators whose works I grew up on, I never met Cardy. He was largely retired by the time I started going to conventions at all, so there wasn't much demand for him as a guest, and my own travel limitations (namely, budget) meant that I never had the opportunity to get to a show where he did attend. So I have no heart-warming memories of encounters with him to share here, just like I have no memories of so many other great comic creators. Cardy also stands out as one of those guys who I always meant to get around to learning more about, but never did before his passing. I've had his biography in my cart at Amazon for probably a year now but I kept putting off buying it in favor of other books that seemed more important at the time. So now I feel like a schmuck because I can't say anything about him that you can't just as readily find on Wikipedia. I'm left with an appreciation of his work. Yet here again, what am I going to say that hasn't been said by dozens of others? How many professional comic artists were inspired by Cardy's work, and studied it more stridenly? Aren't they a better judge of his linework and composition? Aren't they better able to speak to his work's nuances and subtleties? What can I say that they aren't saying better? 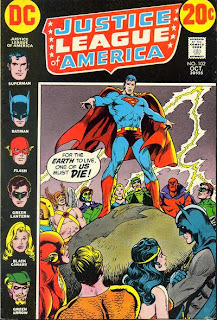 The comic industry is a very, very large place and it seems that no matter how much I learn about it, the death of a great like Nick Cardy inevitably puts in perspective just how small we all are by comparison.I could spend all day every day studying up on all these great artists and genres and styles, and I would still come up woefully short. That's how grand this industry is, and it's terrible that it takes the death of someone like Cardy to really put that in clear relief.